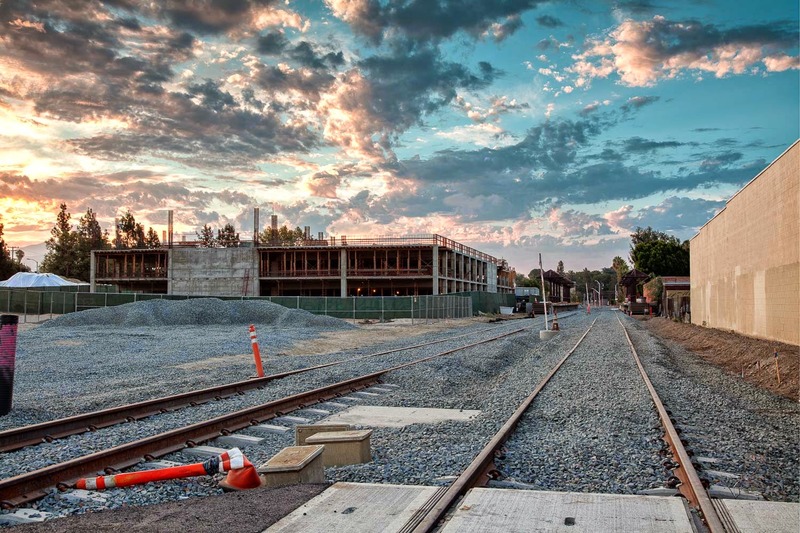 A look at progress at the Monrovia Gold Line station area from Magnolia Avenue looking east. The new parking structure is on the left. The passenger loading platforms are next to the parking structure (a little hard to see) on either side of the tracks. The old depot is hidden behind the left loading platform.